There are an estimated 10,000 bird species on the planet. But if you run a farm or vineyard, you need to only concern yourself with just a few. Certain species of birds and lay waste to your crops and facilities if you aren’t adequately guarding against them. In this guide, we’ll brief you on the biggest bird pests that you’re likely to run into on your farm and how to identify them. If you have an apple orchard, you may be particularly susceptible to invasive crow populations. Crows love apples and are known to peck large triangular holes into them. This, of course, ruins the apples, making them more susceptible to rot and insect damage. Crows will eat almost anything, else too. They love grains and garbage on top of apples, so you’re likely to run into them regardless of crop. Spotting a crow is relatively easy, as they’re all-black birds that travel in large groups. They’re vocal birds with hoarse caws. 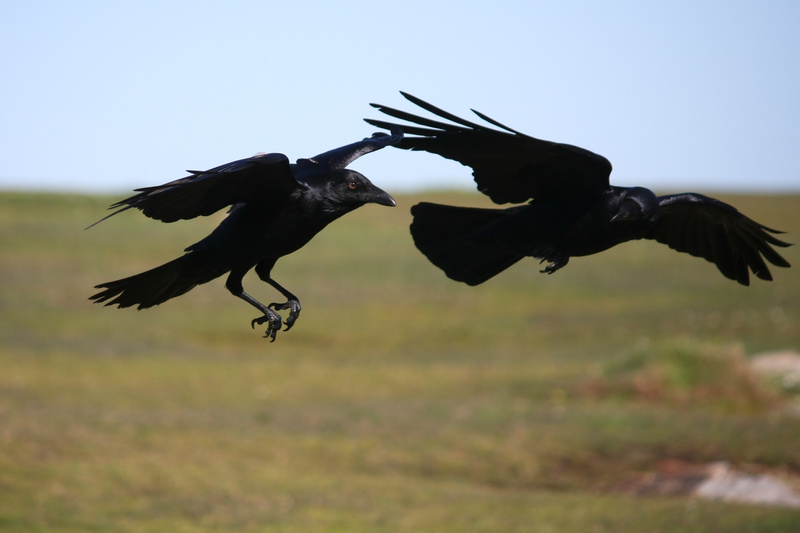 Crows are easily mistaken for ravens, but crows are generally smaller and have shorter beaks and tail feathers. Sparrows can prove ruinous to crops, but they’re particularly disastrous if they invade your buildings and other infrastructure. Sparrows like to build large, dense nests made of grass, straw, weeds, and garbage. These nests can do damage to the sidings of houses, and clog drainage pipes and gutters. To spot a sparrow, look out for a black chest and white cheeks in males, and a grey color in females. They also have a noisy, droning chirp that is easy to distinguish. American robins are common and beautiful birds that can lay waste to your fruit crops if you aren’t careful. These birds love to feast on cherries, grapes, berries, and other small fruits. If they aren’t managed, these birds can cause sizable crop damage. You can spot these birds easily, as they have a unique reddish-orange breast and gray wings. Blackbirds are one of the biggest destroyers of grain crops in the U.S., at least when it comes to birds. In 1970, a study found that nearly 6.8 million bushels of corn crops were ruined by blackbirds alone. Identifying a blackbird is relatively easy. The males are small all-black birds (similar to crows) with orange beaks. The females, ironically, are a bit browner in color and lack the signature orange beak. Starlings are quite the sight to behold, as they tend to flock together in the thousands. Of course, if they happen to welcome themselves to your land, they can absolutely take over your trees and rooftops, devouring everything in sight. To spot a starling, look for flecks of white in their black-purplish feathers as well as pointed feathers on their wings when they’re flying. Need Help Controlling Bird Pests? Now that you know who the biggest avian threats are to your crops or farm buildings, you can now work on deterring them. There are many ways to manage an invasion of birds onto your property, but the best and most cost-efficient may be our FrightKites. These kites, designed to look like large birds of prey, will keep even the most adamant bird pests away. Canadian geese are a beautiful breed of bird. They’re majestic, regal, and unfortunately, they can cause quite a bit of damage to a field of crops. Canadian geese can cause problems, as they tend to travel in large flocks and graze twice per day. For decades, agricultural experts have struggled to keep these winged pests away from their crops. Through their hard work and labor, we’ve learned some of the best ways to prevent trouble before it starts. Here are some of the best tips you can use to keep Canadian geese from causing crop damage. Observing the geese directly is obviously the simplest way to determine whether or not these pests are causing problems, but you can also examine your field’s plants for a few telltale signs. Analyze your crops’ leaves. Do they look torn or shredded? Geese’s teeth are serrated, like what you’d see on a saw or certain knives. Sharp, jagged tears in plants are often a sign that you have some unwanted guests. Of course, Canadian geese aren’t exactly subtle about their presence, as they have a distinct tendency to leave droppings all over the place. While this is both unsightly and annoying, you may actually be able to use it as fertilizer for certain flowers. One of the simplest and most cost-effective methods of keeping geese away is by installing a wired fence around your property. As pesky as geese can be, they’re also quite lazy. They don’t want to work for their meals, so they’ll only go after crops if they can see a direct path to their food. Adding a few feet of finely-meshed fence facing their nest will typically deter them. If your property contains standing water, you may also want to install a fence three inches above the water itself. Geese prefer to land in softer areas with shorter grass. This is because they want to directly assess their surroundings and any potential threats, including snakes. While most of us mow our lawns to keep our grass as short as possible, leaving a little bit of length can keep birds away. Grass higher than three inches is best. Geese act on instinct. Should they sense the presence of another foe (even a fake one) they’re likely to retreat. For this reason, many agricultural experts install scarecrows and gas cannons to scare away any birds. However, these can be both expensive and loud. Instead, add a few kites that resemble natural predators. Farmers with multiple kites surrounding their field are reporting up to 95 percent less crop damage. Knowing what to look for and how to prevent any further damage can save agricultural experts vast amounts of time and money. If you’re looking to keep Canadian geese or any pests away from your crops, get in touch with Falcon Crop Protection for natural deterrents to keep pests away without causing physical harm. 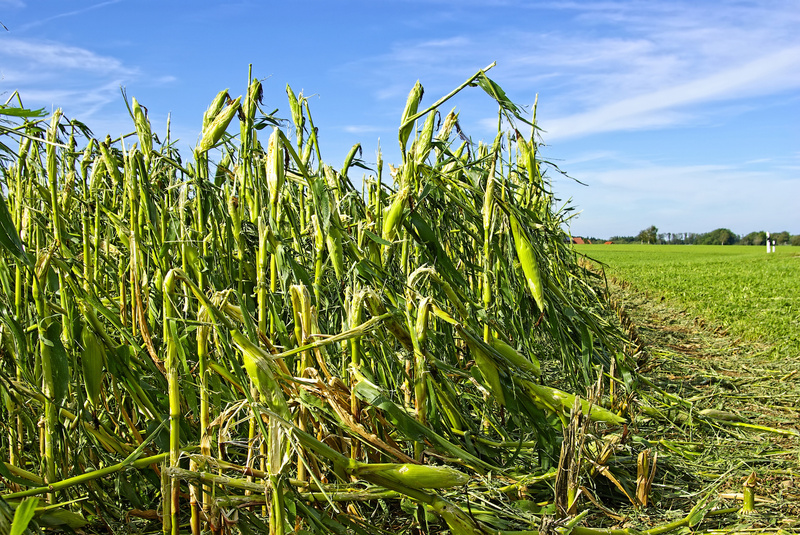 Looking for more crop damage prevention tips? Be sure to check back with our blog for more info. @2017 Frightkite™ is a registered trademark of Falcon Crop Protection.